This individual was the hunter of a dead seal on the pack ice, a survivor indeed and very big ! 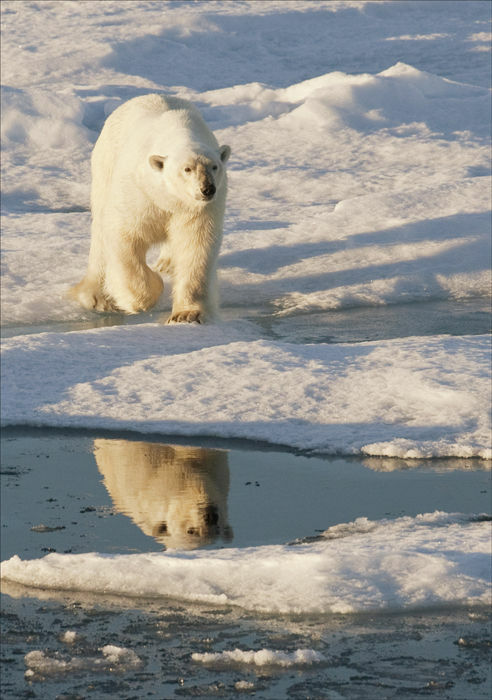 Polar bears wander thousands of miles in their pack ice enviroment. Superbly adapted to this lifestyle, only in the brief summer are they vulnerable as the pack ice and their food supply disappears. Here the pack ice is well broken but the cold was starting to return as the 24 hr light started to diminish.